For more than three decades, ATTORNEY Eric P. Lampel has earned the respect of judges, prosecutors, opposing counsel and satisfied clients in Orange County and throughout the United States. 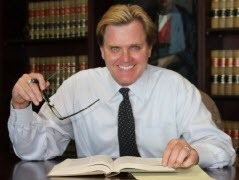 Since he began practicing personal injury, employment law and criminal law in Orange County in 1980, Eric has successfully represented his clients — on both sides of the courtroom — defense and prosecution, in more than 100 trials in cases across the country. Contact attorney Eric P. Lampel today to schedule a free initial consultation.